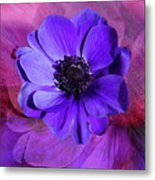 Anemone In Purple is a piece of digital artwork by Terry Davis which was uploaded on March 5th, 2017. OK - so this is from another trip to the garden section of Home Depot. Not a romantic setting, but it is filled with gorgeous flowers and a perfect location for photography. 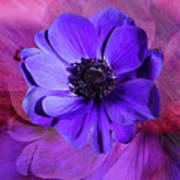 this is an exquisite Anemone in a stunning purple color. 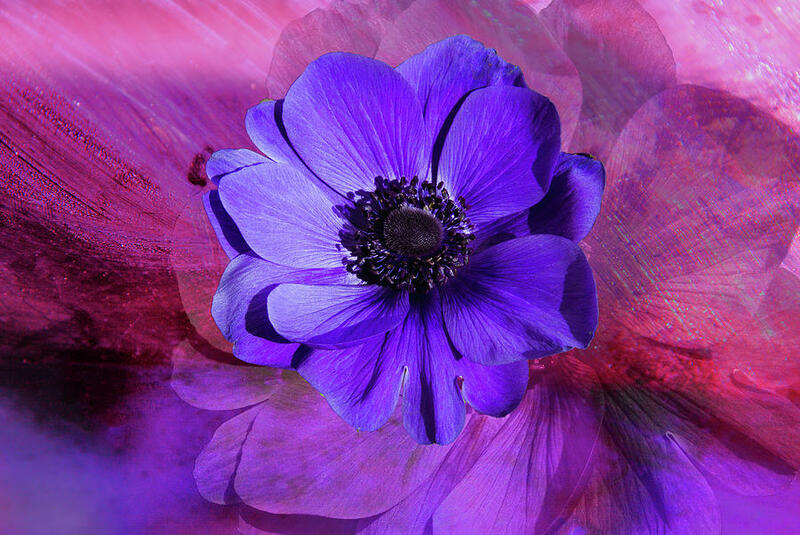 I did very little to the actual photograph until I decided to add a background to set it off. 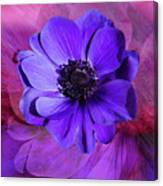 The textured background is painted in colors I hope add to the beauty of the flower. Thanks for the feature in the 10 Plus group 04/19/19. I see why this sold, it's beautiful! Congratulations. What a fun tote this makes! Congrats on your sale!